Kidney stones seem to be as common as rocks. A variety of factors can contribute to their formation, but sometimes an interesting cause can be identified. Protein in the urine can be a tip-off that something unusual is happening. Because the disorder links to the X-chromosome, most affected patients are male. Girls may show mild signs and symptoms, but chronic kidney disease is rare. In 60% of cases, a gene called CLC-5 shows a mutation. Abnormalities of OCRL1 cause another 15% of cases. The genetic cause is unknown in about one-quarter of patients who otherwise fit the diagnosis. The kidneys receive about 20% of each heartbeat’s blood for filtration and removal of wastes. Most of this blood flows through special clumps of blood vessels that allow watery material from the blood to pass into Bowman’s Space, the first portion of the nephron. 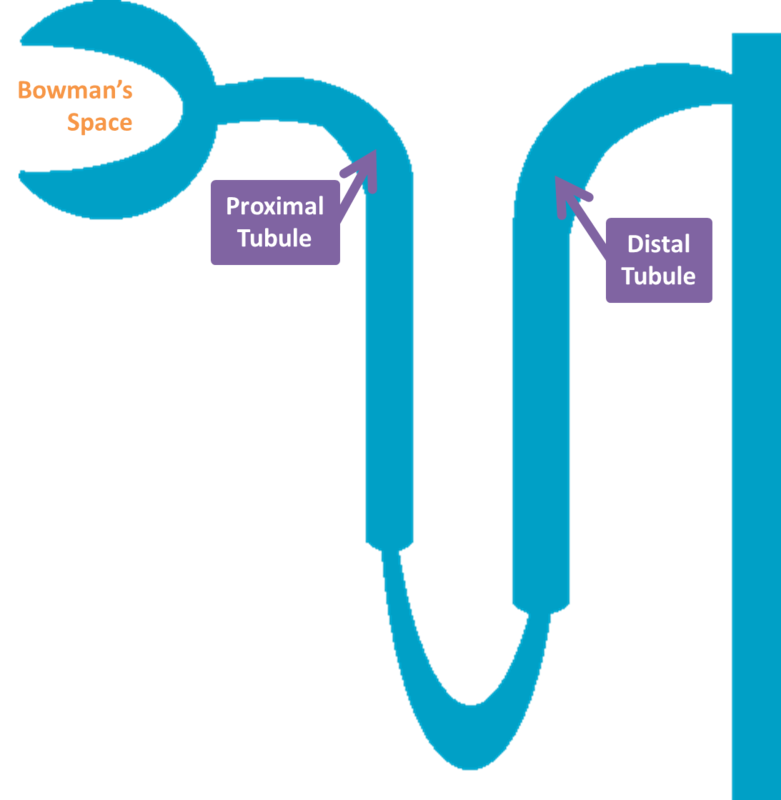 From there this filtrate enters the proximal tubule, the workhorse of the kidney. This part of the kidney retains most of the fluid and chemicals filtered into the nephron. When I want to clean up the mess in a room, I pick up the trash and dispose of it. 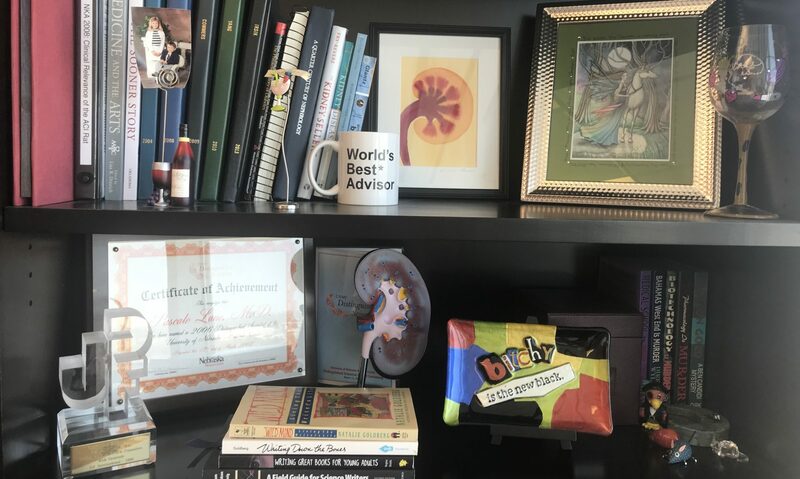 The kidney takes a different approach, instead sweeping everything in the room into the trash and then removing what it wishes to keep. The proximal tubule retains 2/3 to 3/4 of this good stuff for the kidney. Severe proximal tubule dysfunction results in Fanconi Syndrome. The kidney wastes everything that it should retain, including bicarbonate, potassium, phosphate, protein, glucose, and calcium. In Dent’s disease the dysfunction is less severe. While excess urine calcium and protein is necessary for the diagnosis, phosphaturia and glucosuria are variable. Dent’s disease is ruled-out by the presence of renal tubular acidosis due to bicarbonate losses. Affected boys often develop chronic progressive kidney disease, with 30-80% developing permanent kidney failure over time. Girls are generally asymptomatic carriers; if they have signs or symptoms, they are usually mild and cause no long-term kidney damage. Treatment currently focuses on reducing stone risk through treatment of hypercalciuria with sodium restriction and thiazide diuretics. Other general treatments for chronic kidney disease should also be employed as necessary. Next PostNext How Do Astronauts Go?